Is it possible to use a dip process with this medication? If one were to give the anemone a treatment bath for several hours in an unlighted dip tank, would that provide a similar result? My green carpet Anemone had a gaping mouth and was not doing well. I received the specimen 30 days ago in perfect condition from one of my suppliers on the west coast. 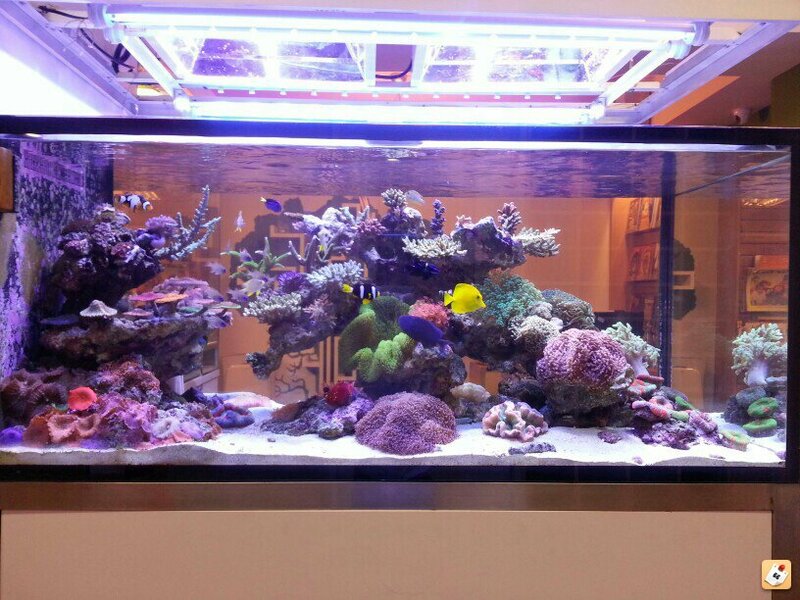 I placed the carpet in a Solanas 60 gallon mature reef tank with excellent water parameters. 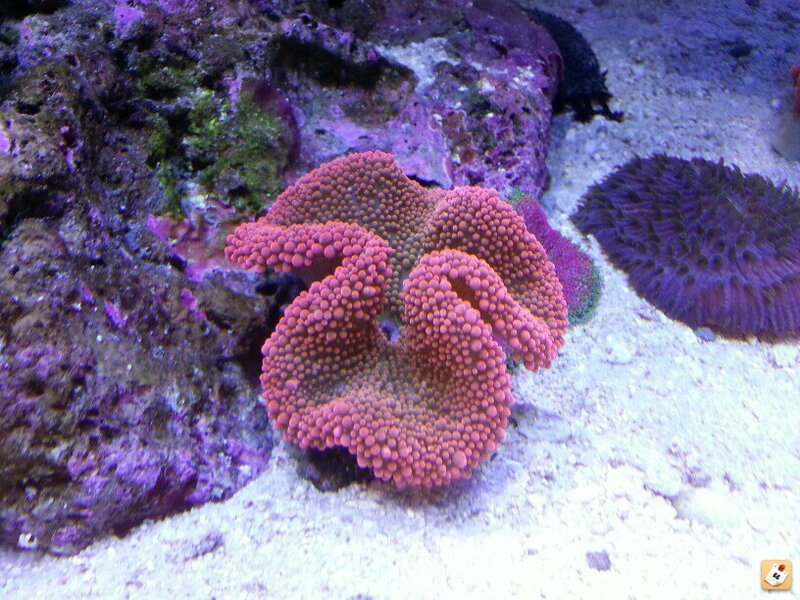 All of the other corals in this tank looked great including a vibrant pink bubble tip. For some reason the Green Carpet took a turn for the worst and started shrinking up in the tank and not attaching. I am trying your cure and would like to post my results; win or lose,but I am hoping for success! I am two days into it. So far I have setup a 5 gallon hospital tank and added 125mg tetracycline on day 1 as I did not have any Cipro on hand. My GF had some leftover so I used it out of sheer resourcefulness or should I say desperation. Not many people willing to write scripts for fish tanks around here. However, I was lucky to source Cipro from a local dentist who wrote me out a script even though the Anenome was not a patient Cost me $10 for 12 250mg tabs at CVS in case anyone is curious. I am now on the Cipro starting day 2. So far so good. I am taking pics and keeping track of everything. How and where do I post a thread with pics? I bought FishFlox from VetDepot sans prescription, and a 5 day course following OrioN's suggested approach brought my Mag back from the brink. ....I am taking pics and keeping track of everything. How and where do I post a thread with pics? Reply with the "Go Advanced" instead of "Post Quick Reply". Scroll down to "Manage Attachments" and attach the pictures from your files. Max size for the picture is 800X800. Has anyone used this treatment on BTA? This treatment likely work with all the anemone species. If you treat another anemone species please add your information so that we all can learn from it. Unfortunately, it looks like I'm going to have to add one to the loss column. I picked up a very small, 3.5" red haddoni (100% positive ID, not a tapetum) exactly one week ago today. It was inflated but its mouth was gaping so I immediately began QT with nightly doses of 250mg Cipro. This is the same 10 gallon QT set-up that I used to successfully treat a S. gigantea. Each day the haddoni got progressively worse. I was removing brown pellets each morning. Today I will probably pull the plug. It has fully not inflated for a couple of days now, and its mouth is gaping and I can see the innards starting to disintegrate. Tough loss. Had it made it it would've been a stunning specimen. I'm guessing that since it was so small it didn't have the energy v. surface area to rid it of its ailment. Any idea on how Amoxicillin would work? This is the first time I have ever heard of using antibiotics as a treatment for anything in a reef tank. All I have to say is wow we love our anemones. Thanks for the education. I have sucessfully used fish flox to treat cardinal tetras - ok, not reef fish, but still. 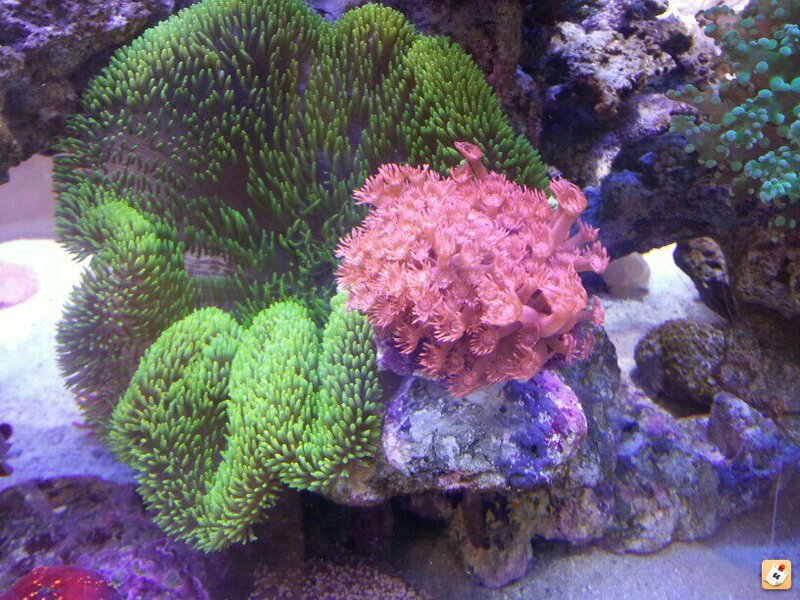 I have 3 anemone in my dt; rbta (1 year old), green haddoni (6 months), and a red haddoni (2 months). I added a blue haddoni few weeks ago and it died. At the time, I didn't think too much of it. Just thought I had bad luck because rest of the anemones were doing well. Soon, the rbta started to lose color and started to hide in the rocks. Then the green haddoni started inflate deflate after eating a dead Hawaiian tang. The red haddoni is the size of a silver dollar, so I can't tell if it's inflating/deflating. It seems fine and it's eating quite frequently. Can I do a cipro dip? If so, how? because I don't have a separate tank. I guess I can go buy one but I don't know if the QT tank condition will be stable. I have sps, lps, and softies.... can I drop cipro into the dt? Any suggestion is appreciated, thanks guys! Does anyone know how long the treament should last? Is, lets say 12 days to long? If the dead tang was killed by the anemone, it likely OK but if the tang was dead for a while, like several hours, then it likely is full of bacterial and by eatting it, the anemone will end up with a full load of bacterial in it inside and get sick from this. We should not use broad spectrum antibiotic in DT. The whole biological filtration of our tank depends on bacterial. Using a broad spectrum antibiotic on the tank will likely crash the tank, or best case really screw up the biological filtration. You are right, the tang was dead on the bottom of the tank. It was full of ichs the day before. Some one thought the anemone should eat it. I will take your advice and get a QT tomorrow. It's not worth the risk at all. Can I have both rbta and green haddoni in the same QT? Thank you for your advice, I'll keep everyone updated. I realize that most people can't set up two QT tanks, but ideally treatment should be administered separately. Also, I can't stress the importance of running the full course when using Cipro -- from 5-7 days. Antibiotics can show results almost immediately, but the key is to make sure that it wipes everything out, hence the 5-7 day course. D-Nak, how long is too long though when treating? Im only on day 4. What is the minimum size tank I need to get? For filtration, can I use hob filter with flourecent light? 5 to 6 days is recommended. I have treated nems for 7 days, then observed them in QT without meds for another week or so. If all is well, they return to the DT. Since 250mg is the typical size of a Cipro tablet, I recommend a 10 gallon tank as the minimum size since it's the easiest to dose. No filtration is needed in the tank. If you were to run carbon filters, it would remove the medication. You can use an empty HOB filter to provide water movement if you like. Per Minh's original treatment recommendation, I use a small powerhead and heater on one side of the tank, separated by an eggcrate wall, which prevents the nem from floating and getting sucked into the powerhead or burned by the heater. 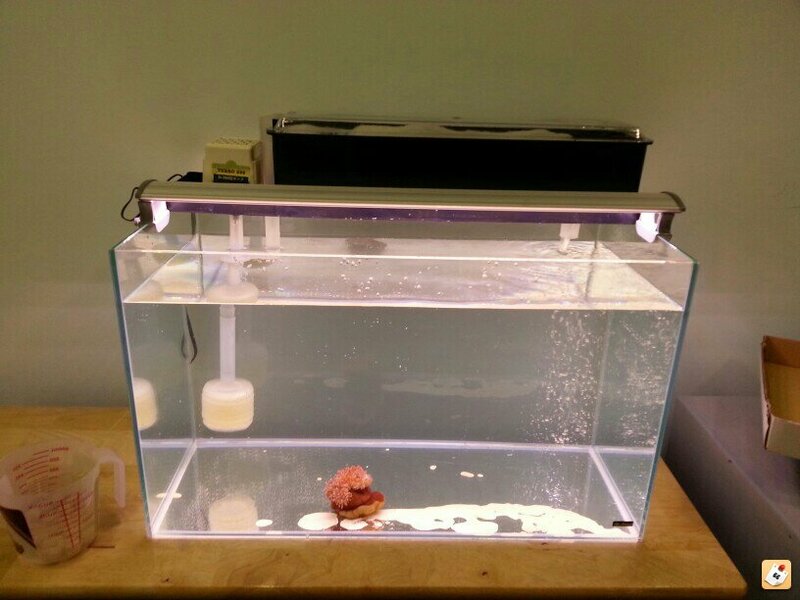 Since you're doing a 50% water change every day, pollutants shouldn't be an issue. 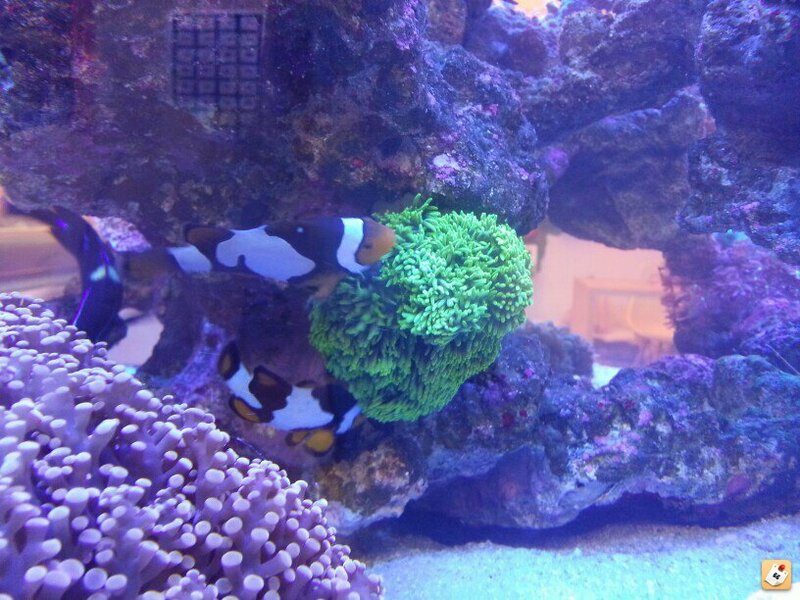 Lighting depends on the condition and species of nem being treated. For example, for gigantea and magnifica, you can blast them with light. I've used both a 250 watt halide and a Kessil A150. Both worked well, though the Kessil was better since it didn't produce any heat. Keep in mind that light breaks down Cipro, so treatment should be done at night after lights out. I live in Taiwan and it's fairly hot 80f+ thru out the day, do I need a heater? If I don't have hallide? Should I get one or can i have the tank outside with natural lighting? It's overcast in taipei right now. You should treat it for 3-4 days more after it return to essentially normal. Likely 7-10 days total. If it does not responsed, by 10 days it is likely dead already. It need temp stability. I think 5 degree swing from day to night is likely too much. Don't quote me on this because I do not have experience with this type of temp swing in my tank. I got everything setup but I have a problem. My green haddoni is stuck on the rock and it won't budge. I tried my best to yank him out but no luck. I think I might kill it before I get him out of the dt. I guess I will treat the rbta first. Any suggestions on how to remove Mr Green? This is him before eating the Hawaii tang about 3 weeks ago. This is my red haddoni today. That green carpet is a Gigantea instead of Haddoni. You can remove the whole rock to treatment. You can put a larger PVC pipe over him. He will move and attach to the PVC and you then can remove the PVC. Hie is a very nice Gigantea. Good luck with him. OrionN, thank you for pointing that out. Unfortunately he is stuck to my main tree so i can remove the entire rock however I got him out by using a credit card (master card) with some patience. This is my Tree and it's located in my kindergarten called Tree House Academy in Taipei, Taiwan.